Passion meets gastronomy with private romantic dinner. 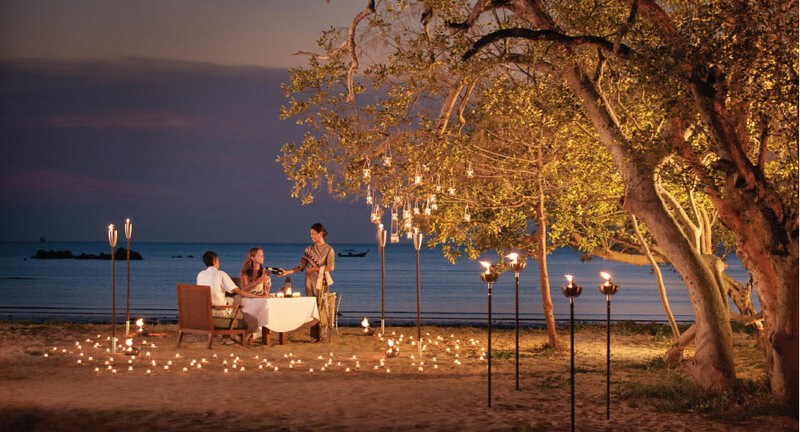 A candlelit table under a white gazebo sets the scene for unparalleled romance, azure waters lapping at your feet and soft sand between your toes. Design the perfect menu with your private chef and Wine Guru. Enjoy a succulent seafood feast, an open-flame barbecue or a four-region Thai tasting menu.